18th January. Posted in Guides. Envato studio is a website run by the same team who run Themeforest – the largest provider of WordPress themes available online. 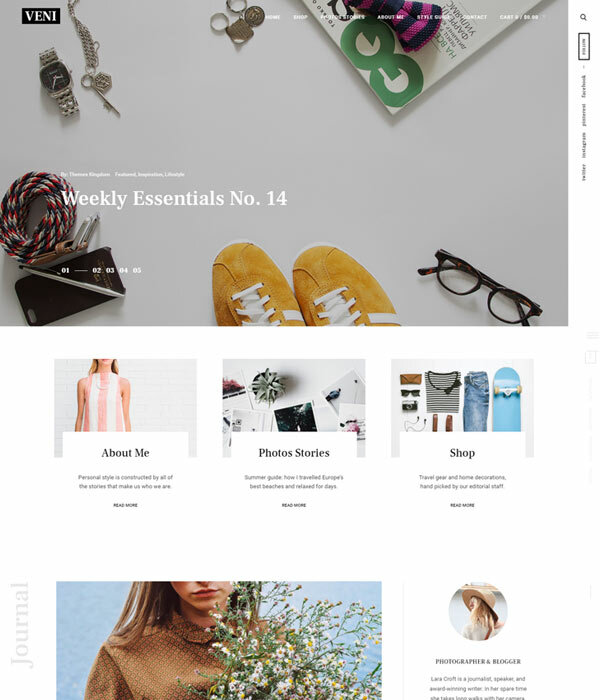 As well as providing tons of WordPress themes via Themeforest, Envato also run other websites including websites for buying graphics, audio files, 3D files and video files. One of their other services is called Envato Studio which is a website where people with web design and coding skills can offer their services for a fee. Some of the services on offer include WordPress customization, logo design and branding, programming and copywriting. If you head over to the WordPress Customization section of the website you will see lots of providers offering all kinds of useful services. You’ll see everything from simple customization services from around $50 to fixes for security issues. As useful as Envato Studio can be, it does have a few issues. Firstly, the fixed price nature of the services on offer is usually not the best way to price customization work. It would be hard to know exactly how long your changes should take or how much you should pay if you are not an experienced developer so choosing the right service can be hard. Secondly, the quality of services on offer varies a lot. A very good provider will not be cheap, even on Envato Studio and it would be hard to know if you are going to get a good service from cheap providers. Even so, Envato Studio is worth checking out but you’ll need to spend a bit of time going through the services on offer. Make sure you are clear what you need from your provider and contact them first to talk through your project. 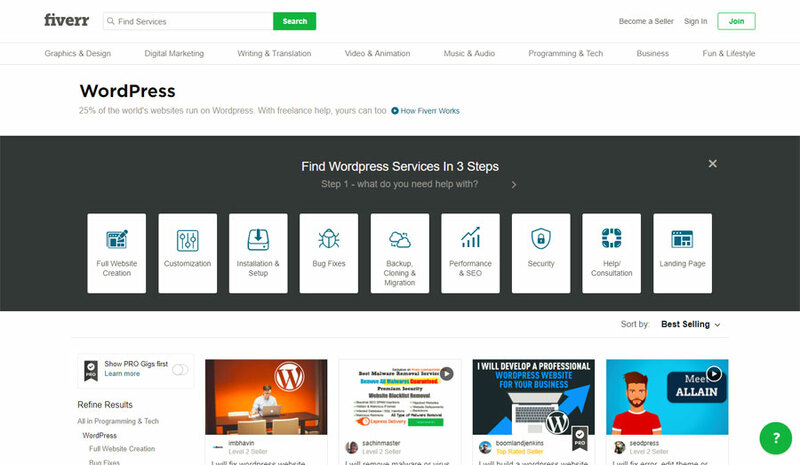 Fiverr is a well-known website for people proving a range of services including digital marketing, writing and of course – WordPress customization. Services on Fiverr used by be priced at $5 with the option to upgrade various options for an increase in price but today, Fiverr is pretty much like Envato Studio with people providing services for any price they like. Fiverr can certainly be great and there are some bargains to be had but it suffers from the same issues as Envato Studio. It is very hard to know how good the service will be and the fixed price nature makes it hard to tailor a service to your exact requirements. Freelancer.com has been around for some time and it’s a very popular website for people looking for a freelancer to help with pretty much any job you have. 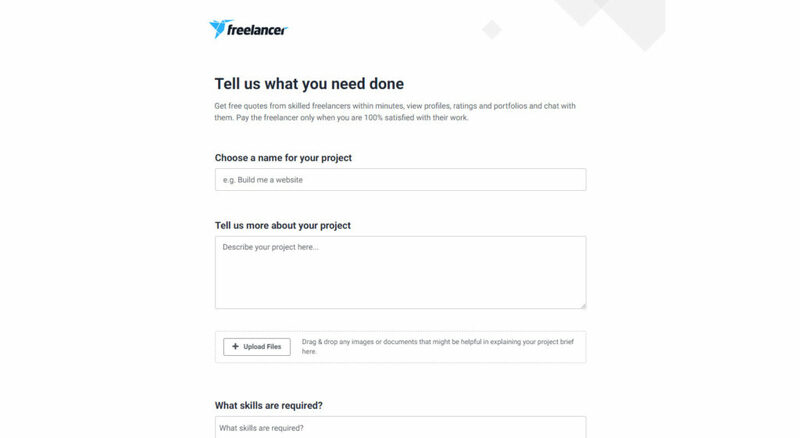 The beauty of freelancer.com is that you can post your specific job requirements and let the freelancers come to you. You don’t have to spend ages looking through listings to find what you are looking for. You can browse the directory here to get a good idea of what type of freelancers are available and you can see the hourly rate that freelancers charge. This makes it very easy for you to make selections based on skills and price. Once you get an idea of how long your project will take it will be very easy for you to pick a good freelancer to fit with your budget. I’d recommend against going for the cheapest freelancer you can find. Instead, choose freelancers who have worked on a few projects utilising the skills you need and who have good reviews. I also prefer to choose freelancers with very good English to make sure communication is smooth. You can filter freelancers based on their level of English. 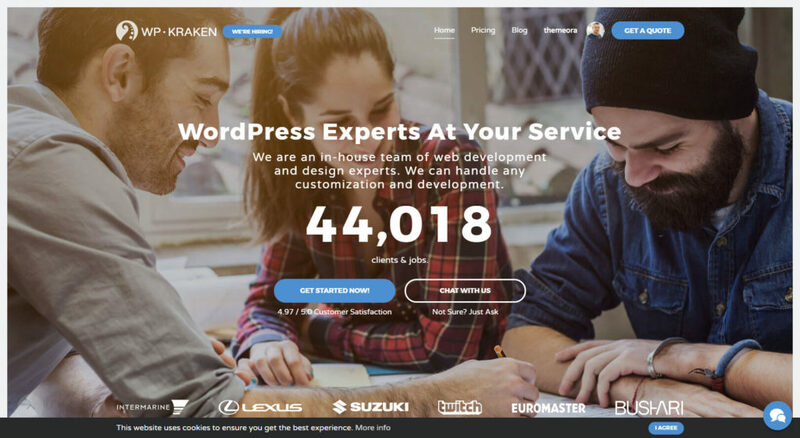 WPKraken is a company based on Poland who offer a wide range of WordPress services. I’d recommend them if you have a slightly higher budget as their prices are $50 per hour. If course, charging a higher price than mot freelancers on freelancer.com doesn’t mean you’ll pay more overall if they do the job faster so it’s definately worth asking them for a price for your project. If nothing else, at least you’ll get an idea of how long your job should take and you could use that information to filter freelancers on the previously mentioned services and compare prices. WPKraken have a list of services on their pricing page so you’ll get an idea of how much typical jobs cost. Another thing I like about WPKraken is that they have their own team of experts and they don’t outsource work to anyone else. Their communication is very good and they are fast and efficient. 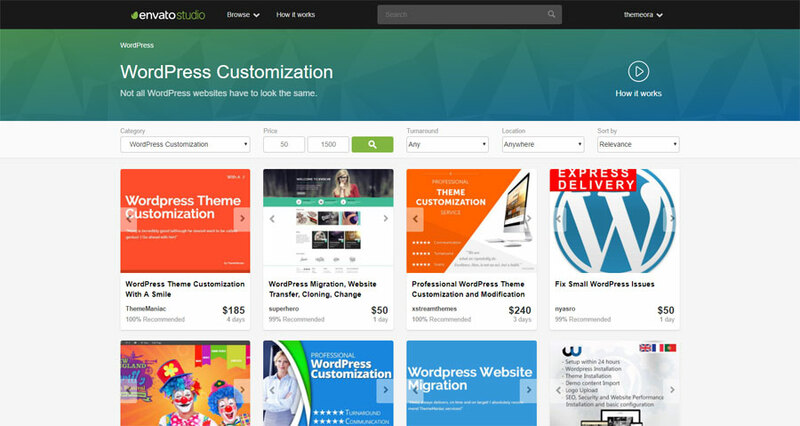 There are a lot of options when it comes to finding someone to customize your WordPress theme. Hopefully this list will help narrow things down for you and make things simpler. All of these services are popular and effective ways to get your work done so take a look around, get some prices and ask some questions before you decide on anyone to help with your project. Fiverr is great. I’ve used it loads of times for making small tweaks to themes and I’ve found some good freelancers there, but I did have a few bad experiences before I found them. Yeah I’ve found some bad ones to but I think its worth trying out because there are definitely some good freelancers there.